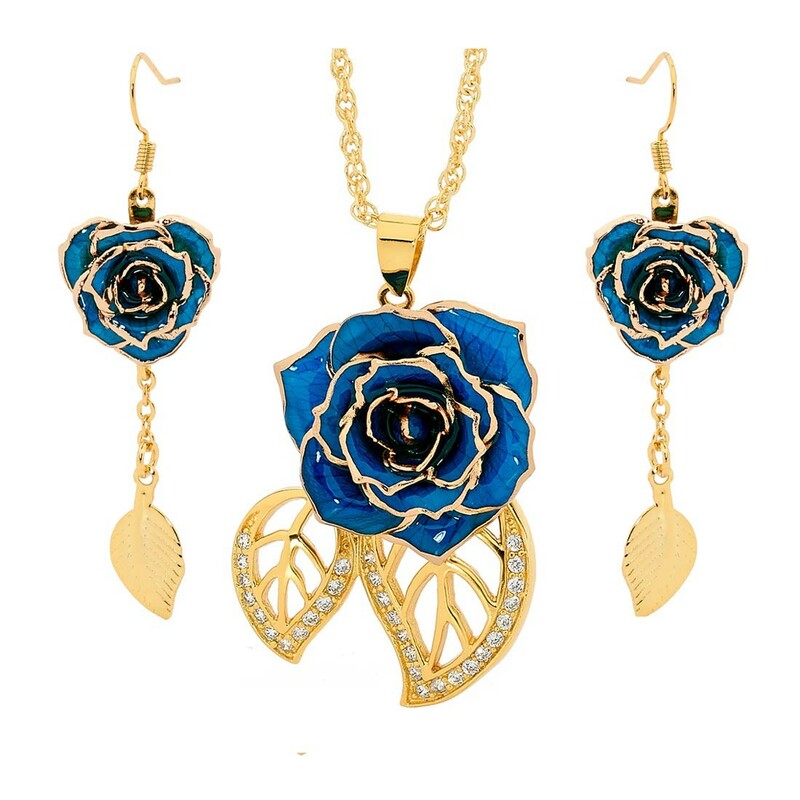 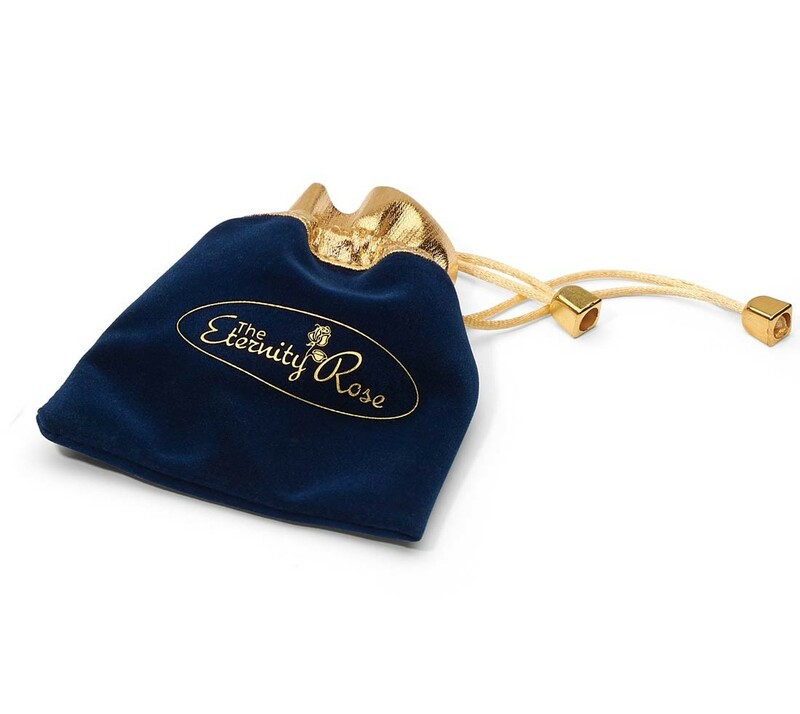 • Made from natural miniature blue rose petals, this stunning pendant and earrings are trimmed with 24 karat gold. 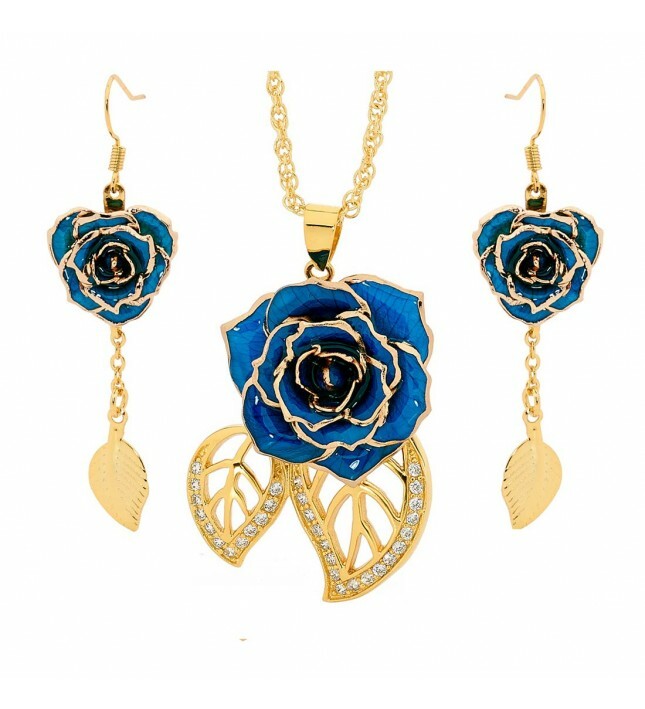 A beautiful pendant made from true miniature blue rose petals which have been glazed and gold-trimmed with fine 24 karat gold. Every pendant comes together with a matching gold-dipped chain and features a pair of matching delicate 24 karat gold leaf-shaped figurines that are decorated with 30 stunning synthetic diamonds.